Click on the Course of your choice to register. confidence down a path to unlimited success in the Home Staging industry. Your journey at The Academy begins the moment you walk through our doors and share your personal goals for your Home Staging business with us so that we may personally guide you in the direction, and to the level, of your desired success in the Home Staging arena. At every turn, your creative exploration is encouraged and nurtured through unique hands-on and field exercises coupled with mentoring and expert industry advice. Regardless of previous experience, this program is specifically developed to take you through a learning progression from beginning to advanced techniques, covering every aspect of design and business acumen needed to thrive in this truly rewarding, and fastest growing segment of interior design. The Academy of Home Staging's hands-on approach to learning and application equips you with the tools and training needed to leave the program and launch your own business. Over the course of five fun, information-rich days, our instructors and guest speakers will help you master critical design principles, employ a systematic process to simplify each home staging project, and integrate sound business fundamentals into your new staging practice. *An extra $200 discount applies if you pay tuition in full 60 days before the course starts. See all upcoming class dates here. Consultation exercise on a real home - Determine layouts, upgrades, paint colors and practice client dialog. Role play with students and discuss alternative solutions. Congratulations! 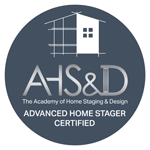 You're Advanced Home Stager Certified! Class size limited to 10 so you receive coaching and mentoring every step of the way - questions encouraged! 2 months free membership into our VIP coaching program which includes email and phone coaching for your new business to ensure your success. *An extra $200 discount applies if you pay tuition in full 60 days before the course starts. We work with you in a coaching setting to develop your unique marketing strategies based on your career desires and goals, experiences and connections. 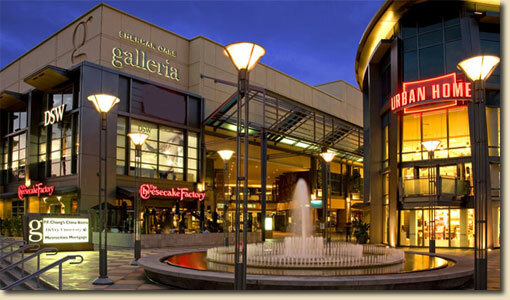 Guest speakers teach you the latest information in their field of expertise including internet marketing and rental furniture for vacant and model homes. In field training in 3 homes with step-by-step, hands-on guidance. You will personally be coached on every aspect of each project from concept to completion. Specially developed exercises allow you to explore and develop the necessary design skills needed to become a successful Home Staging Designer. On-going coaching and education after leaving The Academy to exponentially ensure your success. This program includes a monthly group call on business building and promotion techniques, stager forum, website and marketing material reviews, email support and private coaching. What does The Academy offer that others don't? The only course in the nation to offer Advanced Home Stager Certification - good anywhere in the country. The Academy is the only training in the nation to teach the three core staging services, including a staging redesign, a vacant home bid and the consultation appointment LIVE out IN THE FIELD on REAL HOMES. How to bid and price your jobs, contracts, phone scripts, proposal sheets and much more!! Plus 2 months of ongoing coaching included with a lifetime of support available!